As first reported by The Wall Street Journal, Facebook has removed its Onavo Protect VPN app from the App Store after Apple said the app violated rules against data gathering. The app was acquired by Facebook in 2013 as part of its purchase of an Israeli company. Onavo collected user data using network traffic to provide market intelligence to Facebook about the popularity and use of apps outside its own apps. TechCrunch reported on Onavo's data collection practices back in February. In June during WWDC, Apple introduced new App Review Guidelines addressing data harvasting, which struck some as a direct response to Onavo. It’s good to see Apple enforce App Review guidelines against companies of all sizes, though a little disappointing that it has taken so long. The Verge reports that Facebook is removing Paper, its design-forward alternative Facebook client, from the App Store today. Paper was notable for the novel animations it used to guide you through the app — tap on a link and it would unfold like a letter; pull down on the story and it would fold back up, returning you to the feed. Paper was one of the first products launched by Facebook from Creative Labs an experimental design and development group within Facebook that hired numerous high-profile designers around 2011, including Mike Matas. Matas' early career highlights include stints at Delicious Monster and Apple where he had a hand in several of the interface elements of the original iPhone, iPad and OS X. He left Apple to found Push Pop Press with the goal of reimagining digital books. Push Pop Press had one product, an interactive version of Al Gore's book Our Choice. In August, 2011, Facebook acquired Push Pop Press. The animations and other design elements of Facebook's Paper, which debuted in early 2014, were heavily influenced by Matas' and Push Pop's work on Our Choice and critically acclaimed at the time for their innovations, but the app never caught on with Facebook users. Facebook closed the Creative Labs group last December and Matas left Facebook earlier this year, so the shuttering of Paper is not surprising. Facebook users who previously downloaded Paper can continue to use it until July 29, 2016, after which Facebook has said the app will no longer work. Masquerade built impressive technology for real-time camera manipulation (I also featured the app in a recent collection of MacStories Weekly for Club members). The acquisition makes sense – from anecdotal experience, in the past couple of months I've seen a lot of my friends post selfies modified with Masquerade and Face Swap. Facebook is announcing that it's begun introducing support for Live Photos in its app for the iPhone and iPad, allowing users of the iPhone 6s and 6s Plus to upload Live Photos from their devices. The feature will be available to just a small percentage of members at first, and will gradually roll out to more. People who are included in the app rollout and who view those photos on an iPhone or iPad running iOS 9 will see the photos you shared as Live Photos. Everybody else—such as those with Android phones, Macs, or Windows PCs—will just see a conventional still picture and be none the wiser. Facebook follows Tumblr as the second big network to add native support for Live Photos. If only there was also a social network where you could post pictures as quick updates and they could animate in a timeline. That would be nice, I guess. As of Monday, Slingshot, Rooms and Riff, an app that allowed users to create and share short videos based on a theme, have been pulled from app stores. The Menlo Park, California-based company has also removed the Web page for Creative Labs. A Facebook spokeswoman confirmed the apps had disappeared, noting they hadn't been updated in some time. "Since their launches, we've incorporated elements of Slingshot, Riff and Rooms into the Facebook for iOS and Android apps," she added. 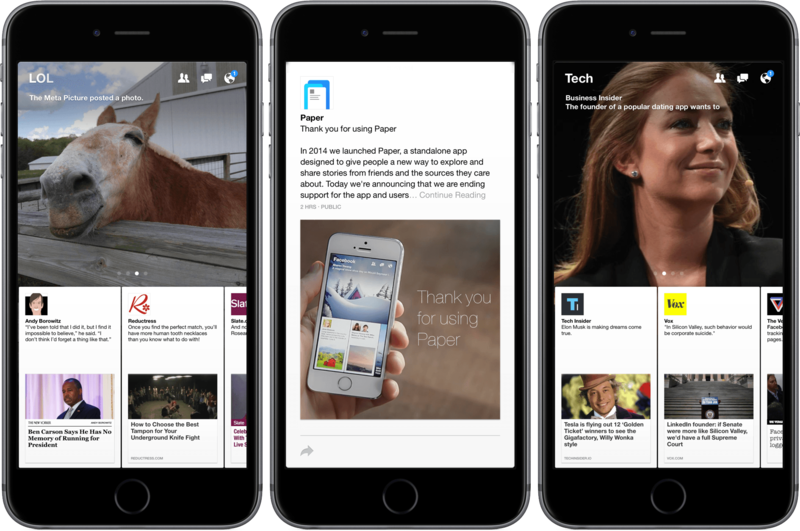 Creative Labs was also behind Paper, the company's alternative Facebook app, which is still only available on the US App Store. Personally, I've always preferred Paper's interactions to the official Facebook app, but I feel like it's going to follow the same path as the other Facebook apps. In a post on Facebook, Ari Grant, engineering manager for iOS at Facebook, has confirmed that the Facebook app was affected (among other bugs) by background audio issues which caused high battery consumption. From what I've heard, today's update to Facebook for iOS has removed the background audio permission completely. Facebook is working on more fixes, which, as Grant also mentions, include improvements to the app's network code. At this point, I don't think it's productive anymore to speculate on how long the problem has been around. I'm glad that Facebook has publicly acknowledged issues that were affecting battery life on iOS and it's good to see fixes being released to address them. I'm going to reinstall the Facebook app and see how it goes. Every time I take a look at a friend's iPhone, Facebook is the app with the highest amount of battery usage in the background – even with Background App Refresh turned off. This has been going on for years, and instead of fixing the issue, it does seem like Facebook is always coming up with new ways to circumvent user control and consume more energy. The fact that a company the size of Facebook can't optimize energy consumption of their iOS app is simply ridiculous. If they can but don't want to (because of processes they want to run in the background, constant notifications, etc.) – well, that's even worse. Update: With iOS 9's improved energy consumption stats, it's easier to guess one of the various tricks Facebook may be employing to stay active in the background and drain battery. On my girlfriend's iPhone, for instance, iOS 9 reports 5 hours of on-screen usage for the last 7 days, and another 11 hours of background audio usage with Background App Refresh turned off. My guess is that Facebook is hijacking audio sessions on iOS by keeping silent audio in the background whenever a video plays in the app. 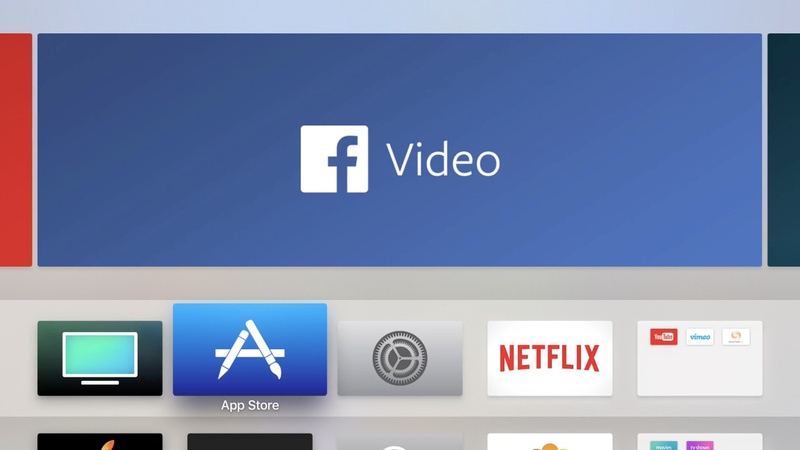 And because, by default, videos on Facebook auto-play on both Wi-Fi and Cellular and few people ever bother to turn it off, that means there's a high chance the Facebook app will always find a way to play a video, keep audio in the background, and consume energy to perform background tasks. I'm not alone in noticing the mysterious "Facebook audio" background consumption, and video auto-play seems to me the most likely explanation at this point. I don't know if turning off auto-play may fix the problem, but I'd recommend doing that anyway to save data. Update 10/15: In a statement provided to TechCrunch, Facebook confirmed they're aware of an issue causing battery draining for users, and they're working on a "fix". Facebook didn't provide any additional details on the nature of the issue.